Cyclone Engineers/Estimators work closely with owner developers and contractors alike to help design, budget and schedule future projects. Through our vast experience we are able to help with the due diligence and design phases to maximize property use and minimize cost. 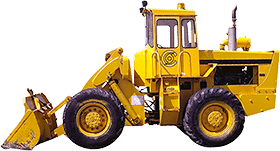 For more than three decades, Cyclone Land Development has provided their clients with unmatched, expert services including industrial, commercial/retail and residential construction. From initial site layout to the finished product, our team ensures that the client’s desired completion is on target. 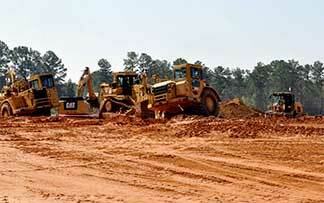 Cyclone Land Development Company puts your project in motion when we begin the construction phase. 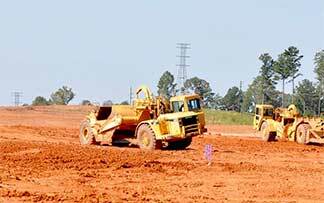 Our expert project management and field personnel utilize the latest equipment and technology to build your site on time and on budget. At Cyclone Land Development, we believe that our work stands as a testament to the quality and excellence that we as a company stand for. Here you’ll find a few of our featured projects that best illustrate the skill, ingenuity, and commitment to quality that we strive for in every project. 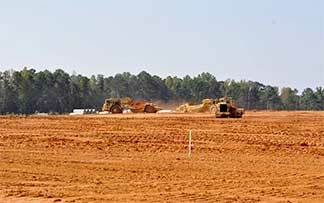 This project is a 1.2 million square foot warehouse located in Coweta County. Gillem Logistics Center the master-planned redevelopment of the former Ft. Gillem Army base in Forest Park, Georgia. 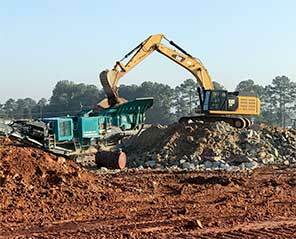 This industrial project is a pad graded site with 100,000 cubic yards of mass earthwork with 17,000 square foot reinforced slope. Cyclone Land Development Co., Inc.